These “beehive” huts were used as homes by ascetic monks centuries ago—a spare existence, indeed. They are made only of stone, with no mortar. 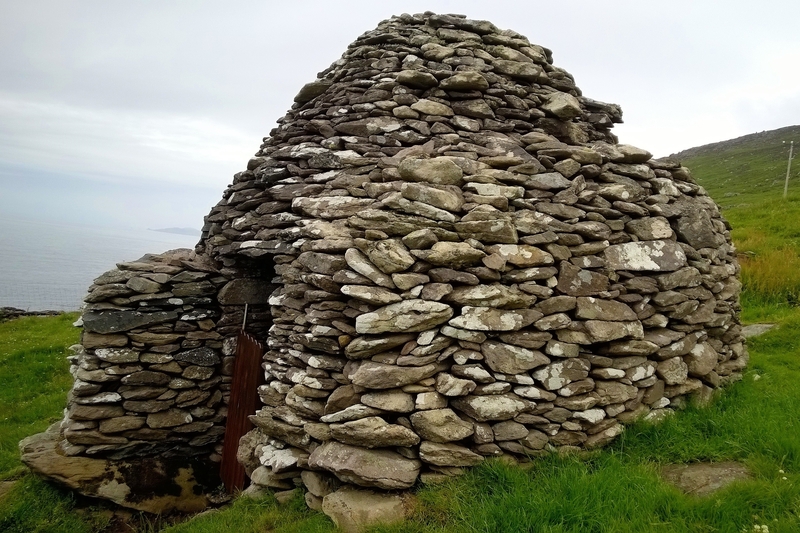 There are also examples of these structures on Skellig Michael. What an interesting interpretation of ‘Spare’; I love it. You’ve earned my ‘Follow’.